My top nine Instagram images of 2018. I joined Instagram just over a year ago, thinking I’d give the photo-based social media site a shot and see if there was any interest in my work. It’s taken me a few months to figure out how it all works and build a small following, but just before Christmas, things blew up… and my images are regularly attracting 2-3,000+ likes, with more followers joining me every day. I don’t understand why, but it’s been very gratifying to read the comments and see how my images are inspiring photographers and others around the world. Instagram has become the easiest way for me to regularly post my photos of Acadia. I still post to the Images of Acadia Facebook page, but if you want to see new pictures every two or three days, follow me on Instagram @imagesofacadia. 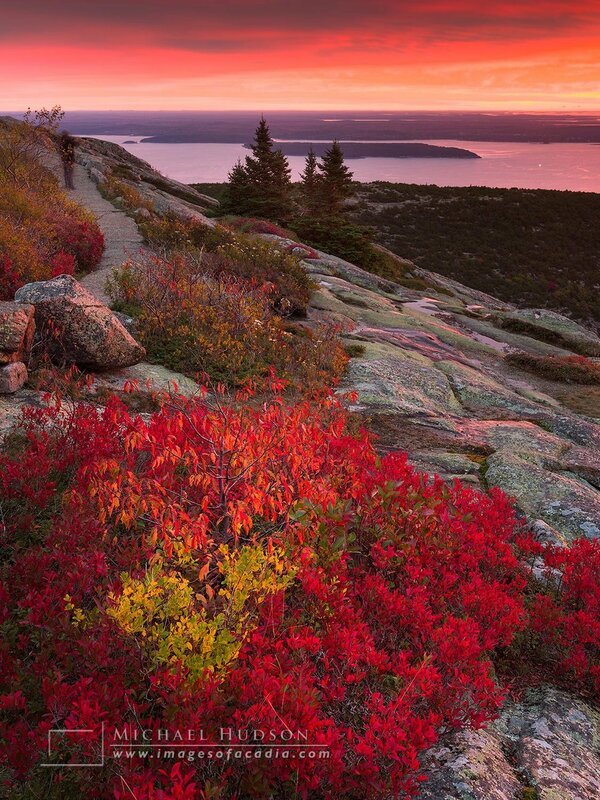 When I posted this image of a sunrise on Cadillac Mountain on my other Instagram page, @mikehudsonseye, it quickly became my most popular image on the internet- ever.